Leavin’ On a Jet Plane….for T N N N N N A! Okay, so I’m humming the Mama’s & Papa’s, and TNNA just doesn’t scan. My bags are packed (well, almost)…and I’m ready to go (well, not quite). However, I’m still deciding what knitting I want to bring or not. Part of that latter is because, of course, like normal before a trip, I have no absolutely mindless knitting, which is the sort I consider perfect for a trip. Though I’m at a semi-mindless bit of knitting for the cardi I’m working on, the item that’s currently the priority in my designing queue, there are a few things I know I’ll be tweaking as I go, and though I hate to admit it, I’m pretty attached to Excel & Word and updating things as I go. ….I’m trying to figure if I can get away without bringing my laptop, and only bringing my iPad. I’ve downloaded the CloudOn app for my iPad, but, after playing with it yesterday, I’m not 100% happy with it (though I think that’s a functionality of not having a mouse & touch screens working differently than mice). And that’s assuming I have internet access whenever I need to access it — CloudOn requires wifi. While scouring app reviews I came across several articles that said Microsoft will have a Microsoft Office app….but not til Nov 2012. Unless it’s really clunky, though, that’s the one I’ll want to get, so I don’t really want to spend $$$ on other apps in the meantime, especially when, upon comparing reviews, none seem to be precisely what I need. CloudOn, at least, is free. I’ve brought my laptop with me to various shows & conferences, and, with the exception of last Madrona, rarely, if ever, used it for designing while on a trip. I’m pretty sure I can get away with my iPad and the wireless keyboard. Which means the cardi project — which, frankly, is a bulky thing to bring, anyways — may not be the best project to bring. 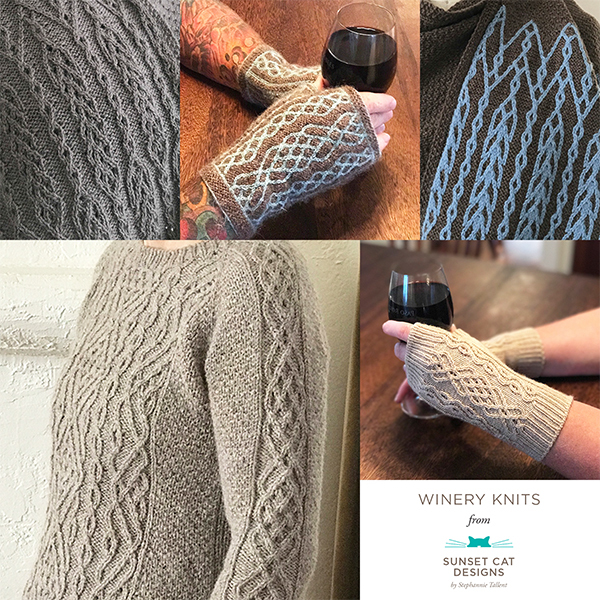 However, the other option — getting started on a new pair of fingerless mitts – requires charting software. Yes, I’m sure I can get by with a low tech version. Uh, graph paper & pen would work. That might be it. I already have the yarn wound into a ball. Easy peasy. This is how this whole past week has been — my mind scurrying around in circles like a little hamster on its wheel. Not the most productive state of mind AT ALL. I have a few more errands to run today, of course. Quick visit to the pulmonologist to get asthma meds. Stop at the tailor’s to pick up a shirt that I had hemmed (cute print top, will be wearing it to Marly’s Yarn Thing Designer Dinner (YTDD)). Visit to Janice at Rumba to get my frizzy, grey-rooted locks tamed & colored. Stop at Trader Joe’s for snacks on the plane (as opposed to having to buy bad overpriced snacks). Oh yes, and a stop at Joann’s to get stuff to make a mask for the YTDD. And finally, congrats to Lilie! She’s won her choice of either Ravens in Snow or Ravens in Snow Fingerless Mitts.